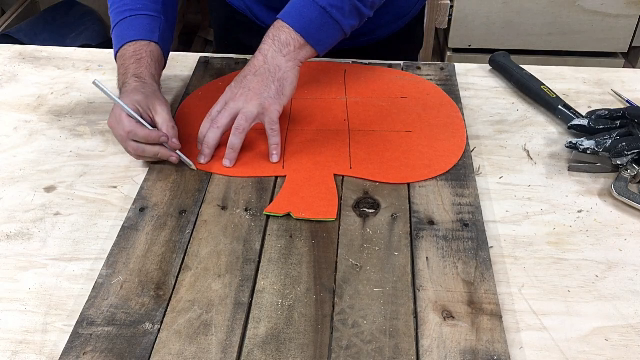 You can make the simple pumpkins from a small pallet in under an hour using only a jigsaw. Ideally you’d like to find one stamped on with HT: Heat Treated or KD: Kiln Dried. DO NOT use a pallet marked with MB: Methyl Bromide. Try not to use dirty pallets as you never know what might have been spilled on them. *Motorcycle pallets are the best to use since they’re single use and built specifically to ship a single motorcycle. 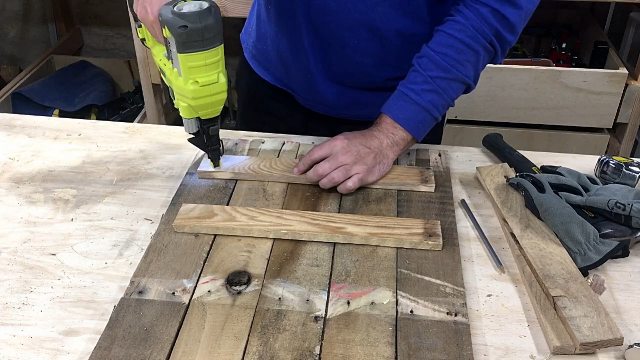 You can break down your pallet using a crowbar and hammer, or just cut the board where they meet the supports if your pallet is long enough. The easiest way is to use a reciprocating saw and cut the nails. Layout your pieces and either draw a pumpkin, if you can draw, or trace it using a pumpkin decoration. You should be able to get 2 pumpkins out of a single small size pallet. You’ll need two pieces to hold your pumpkin together. Cut them to length, making sure they fit inside the outline of your pumpkin. 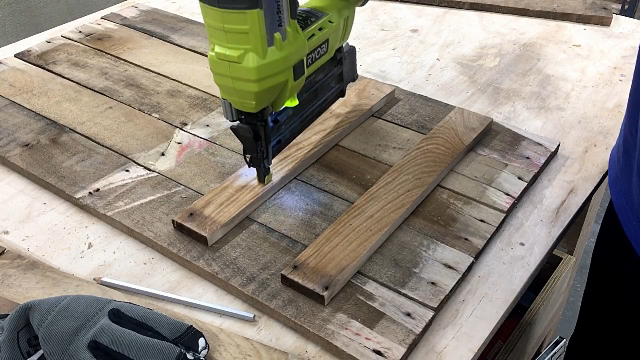 If you have a table saw, you can rip them down in to thinner strips like I did. Here you have 3 options: Glue, Nail, Glue and Nail. I glued and nailed to speed things up but you can just use glue and let it dry, or you can use a hammer and nails. Just make sure your nails aren’t long enough to poke through to the front. *If you use nails, make sure they’re inside the shape of the pumpkin. Once your glue is dry, cut out the pumpkin with a jig saw. Finally, give it a coat or two of paint. I used the cheapest paint I could have mixed with the color: Autumn Blaze. This nightstand or side table is made out of layered 3/4” plywood to form lap joints for supporting the shelves. The top is oak with a zero VOC resin finish.